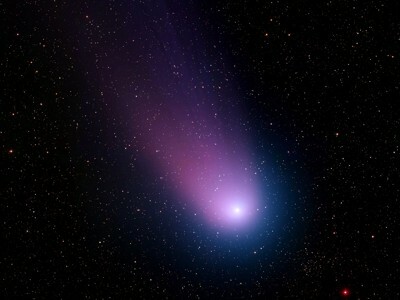 great detail of this small comet taken from the Kitt Peak National Observatory. Thats beautiful. I cant believe nobody commented on it yet. This is one of the clearest night-sky images that I have run into yet. In my favs. Great work! Wow, you have to see it in the larger sizes, the star field is fantastic. How in the HELL are y'all making these? lol. They are AWESOME!!! This comment by pixie770 has been moved to the Hall of Shame.